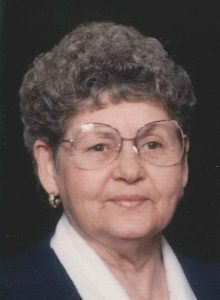 Funeral services for Helen E. Comer, 93, West Plains, Missouri, will be held at 10:00 a.m., Saturday, March 30, 2019 in the Rose Chapel at Robertson-Drago Funeral Home. Mrs. Comer passed away at 6:05 p.m., Monday, March 25, 2019 at Brooke Haven Healthcare. She was born December 29, 1925, at Willard, Missouri, to Homer Murphy and Etta Fortner Murphy. On October 17, 1945, she was married at Ozark, Missouri, to Ray Coleman Comer, who preceded her in death on April 8, 2006. Before her retirement, Mrs. Comer worked at the International Shoe Factory. She was a member of the American Legion Auxiliary, Bakersfield, Missouri, the Veterans of Foreign Wars Auxiliary, West Plains, Missouri, Amy Union workers and was a volunteer at the Veterans Administration Clinic in West Plains. Helen enjoyed sewing, painting, teaching the grandkids how to play dominoes, family reunions and playing games. Mrs. Comer was a member of Amy Baptist Church where she attended for many years. She is survived by three children, R. C. Comer, Jr. and wife, Darice, St. Louis, Missouri, Steve Comer and wife, Veronica, Mt. Zion, Illinois and Pam Kesner and husband, Larry, Caulfield, Missouri; eleven grandchildren; eighteen great-grandchildren; three great-great-grandchildren; and many nieces and nephews. Her parents, husband, two brothers, James Murphy and Ira Murphy and two sisters, Anna Mae Barnhardt and Goldie Ethel Farmer, preceded her in death. Visitation will be held from 5:00 until 7:00 p.m., Friday, at Robertson-Drago Funeral Home. Burial will be in the Amy Cemetery. Memorial contributions may be made to Amy Cemetery or St. Jude’s Children’s Research Hospital and may be left at Robertson-Drago Funeral Home. I just want you to know how much Helen will be missed at Brookehaven. I very much enjoyed having her in our dining room. Such a wonderful, beautiful lady. She was always so sweet. My deepest heartfelt sympathy and prayers to all of Helen’s family. Steve, Veronica & Family: A beautiful, long, well-lived, full life indicated by Helen Comer’s obituary. I’m sure there are many, many wonderful memories for your family from her 93 years. May God comfort you & give you peace. Condolences to Steve and family in this loss from fellow members of Zizzer65 Class and a friend always. Our thoughts and prayers are with you. Pam and family: I am saddened to hear about your mother. She was a very special lady to many. My parents thought the world of both your parents. I know that you have many, many memories of special times together, I hope that they give you comfort in knowing how special she was to so many people.